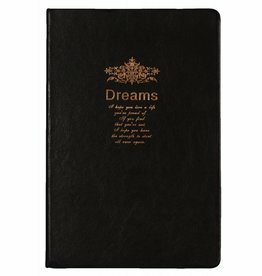 A beautiful large notebook where you can completely go crazy! Notes, comments, thoughts, poems, texts mention it. With 280 pages of blank paper, anyone can really get lost here. The side of the book is gold colored, giving it an antique look!